What: Nationally recognized experts visit Maine to discuss impaired driving. Where: Hannaford Hall, University of Southern Maine. The effects of alcohol on driving performance and crash risk are relatively well understood but less is clear about drugs other than alcohol. This larger body of drugs with the potential to impair driving consists of recreational marijuana, some over-the-counter drugs, some prescription drugs, and most illegal drugs. The mechanism by which these drugs affect the body and behavior, the extent to which they impair driving, and the time course for the impairment of driving can differ greatly among these drugs. 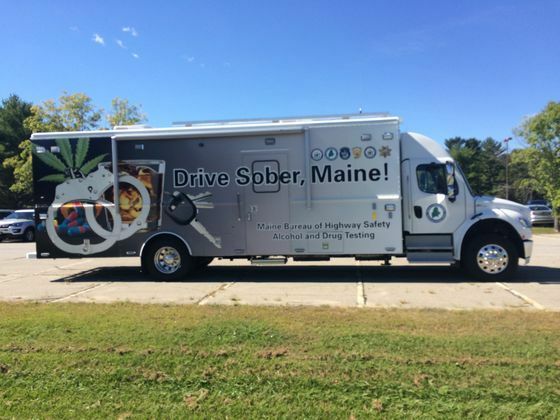 With a growing concern for illegal drugs in Maine and as recreational marijuana becomes readily available early next year, law enforcement and the judicial system must prepare for the challenges and unknowns that pertain to drug impaired driving. This is the 4th annual impaired driving summit where AAA Northern New England and the Maine Bureau of Safety work together to bring nationally recognized experts to Maine to generate awareness and understanding of the issues of impaired driving. This year attendees will learn about specific issues Colorado is dealing with in their communities, five years after marijuana legalization. Presentations will include toxicology and oral fluid discussions as well as best practices for prosecution. Summit attendees include law enforcement, legislators, administrators, judicial, educators, forensic, traffic safety professionals, and Senator Roger Katz, the chair of the Committee on Marijuana Legalization Implementation. Draeger & Alere will exhibit their technology for oral fluid testing which may hold future promise for roadside testing for drug impaired driving.